There’s nothing like waking up at home. ..Nothing like getting a full seven hours of sleep. ..Nothing like walking out into my own neighborhood and dropping into the mail box the one NetFlix I had time to watch nearly all of while working across Connecticut and Maine this week. I wrote the above yesterday morning when I first started composing this entry. It was an incredible week. I have to admit, though, that the most amazing part was that my stamina held up until that final 43 minute drive from Stonington, CT to the Providence Airport on Thursday afternoon. I hit the wall and could barely keep my brain working. The last several weeks have had me mostly working K12 and college convocations and staff development institutes — several of them here in North Carolina. But the most interesting was Thursday in Stonington. We’d had several conversations prior to the event, as the district leadership was using the day to initiate a meta-processes model that had been developed in-house several years ago. I’ll not publish it here, as I’ve not gotten permission to do so. But it is probably one of the best and most comprehensive 21st century skills documents I’ve seen. 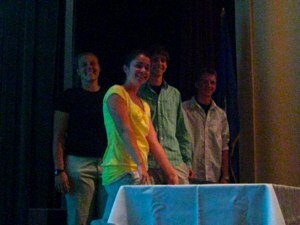 What made the event so interesting was the leadership’s insisted on including students. Two young men, both rising juniors (I believe), had interviewed over 200 area students about their learning and the future. The two youngsters then compiled their findings into a 7 minute video that was both informative and funny. The morning kicked off with the video. Then I weighed in with my standard “it isn’t the technology, it’s the future, networked learners, and a new information landscape” pitch. This was followed by a fairly uninspiring set of questions from me to the two young men and two young women who joined them on stage. The most interesting thing to come out of that was that their answers to, “What are the most important things you’re learning in school?” and “What are the most important things you’re learning outside of school?” were essentially identical, — how to work and get along with other people. I wanted to explore more deeply the differences between their classroom learning and their outside the classroom learning, and it occurred to me that we might use the district’s new meta-processes document as a pivot point. So after my questions, I asked each student, using their laptops and a web app I’d made (and was still debugging in the Marriott breakfast room that morning) to rate (1-10) how much they used the individual skills in a typical school day or assignment. Then they were asked to rate each skill based on their gaming and social network activities outside of the school. Of course this was not nearly scientific, but as they were clicking up their numbers, the graph on the big screen updated every two seconds. Admittedly, I was hoping it would be more riveting that it was, but it eventually grew into a realization that students’ outside-the-classroom information experiences were often more intellectually demanding than their typical classroom experiences. This was obviously noticed by some teachers through the questions they asked the student panel at the end of the morning. I confess, and many of you know, that open source is not one of the paths I walk. We can’t walk them all, but I’m cheering. Jeremy Taylor, the high school band director, showed me this iPod midi program, which he had mapped to the auditorium's lighting system. 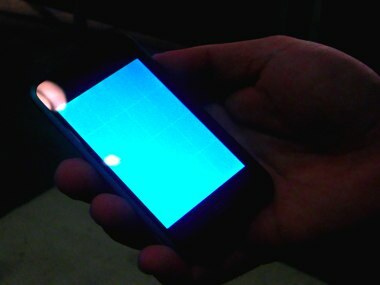 Touching different regions of the display causes lights to rise or lower. Also, scanning through my aggregator, I ran across a post (There is no need for a ‘Creepy Treehouse’ in using the Web in the Classroom) by my friend Bora Zivkovic, where he comments about an article that I read yesterday morning in the Raleigh News & Observer. After my talk in Chapel Hill last week, Susan Wells, the principal of Culbreth Middle School, came up and described their project to give students iPod Touches, and how excited they are about the opportunity to explore the possibilities. 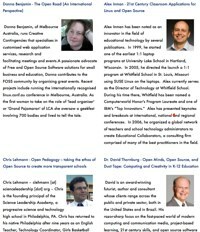 The article (An iPod Touch for each Student?) emphasizes that the district is pursuing the 1:1 access to these technologies, without a full vision for how they will be used. Bora mentions the creepy treehouse affect, which was a new term to me. But I wonder if, going into an exploritory adventure with technology, especially if they give students an opportunity to share their insights, the affect might be more akin to a tree-based telescope. ..an experiment that would challenge teachers and administrators to ensure the hand-held devices are used as learning tools, not toys. I understand this concern. But might we find that a learning tool can be a toy, and that a toy can be a learning tool. From The Next Web’s Ernst-Jan Pfauth (Music Community Koblo Needs to Show Some Soul), a music editing software that I didn’t know about. Koblo has apparently been around for a long time (1998). But the Denmark-based company, Aarthus, is now bundling a recently enriched version of their software within a new social network, where musicians and bands can meet up, share their tracks, and talk. Of course, anyone who’s done anything with music, such as listening to it, knows that the experience is social. Think of all those Beatles and Monkeys fan clubs. But music makers have also long been meeting and sharing online, playing their music and selling their old instruments. What’s interesting to me about Koblo is that they are connecting the actual music-making with the community. A similar service, which has been around for a time, is Berlin-based Hobnox. It is also a music community with a music-making tool. But their music software is web-based, further connecting the music with the community, nearly becoming one. This really isn’t instructional. But it is another example of community generating content for the community. Can’t wait to get to my hotel room and play! Author David WarlickPosted on August 24, 2008 Categories blogging2 Comments on Music? Social? …67 pages of primary sources and background reading, plus guides for using the kinds of primary sources provided. 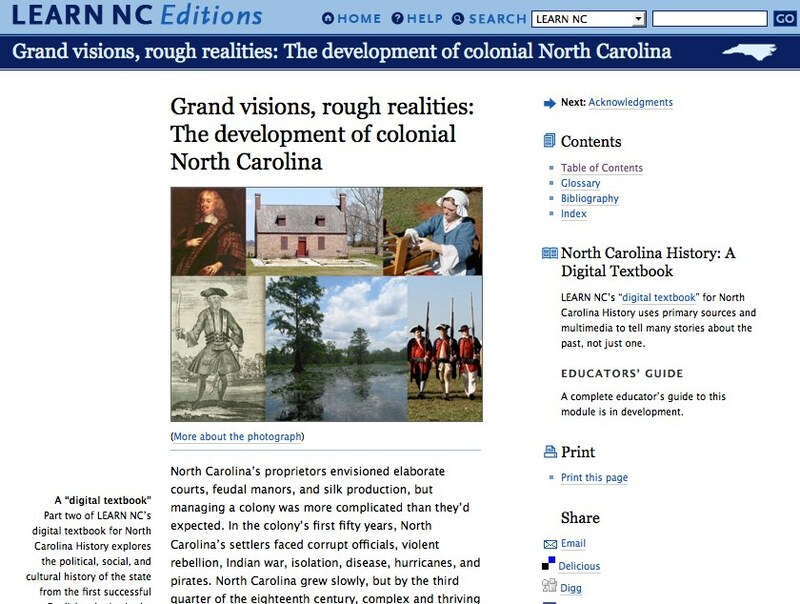 To collect content, LEARN NC worked with the North Carolina Office of Archives and History, the North Carolina Museum of History, UNC Libraries, Fort Dobbs State Historic Site, the North Carolina Literary Review, and other partners. LEARN NC?s ?digital textbook? for 8th-grade North Carolina history provides a new model for teaching and learning. It makes primary sources central to the learning experience, using them to tell the stories of the past rather than merely illustrating it. Special web-based tools help students learn to read those sources and ask good questions of them. And because it?s on the web, this textbook relies on multimedia whenever possible to supplement or even replace text. I found a chapter in the book about the German migration into North Carolina, a topic that I’ve not seen before in any NC History course I have taken. It was an interesting read for me, as my ancestors on my father’s side were part of the early 1700s immigration. I was intrigued by the circumstances in Europe, mostly religious wars, that forced so many German families to leave for the New World. Content can be found by search engine, thematic classification, or via the Europe by Satellite (EbS) service. Information is also streamed via vodcasting, podcasting, RSS feeds, and live and VOD streaming. 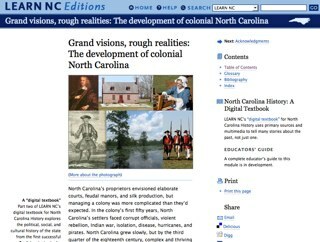 What got me thinking was a marriage of what LEARN NC is doing and a product like the Audiovisual Service, where the “textbook” arrives as an broad topic, multimedia encyclopedia that is not only searchable but also pluckable. 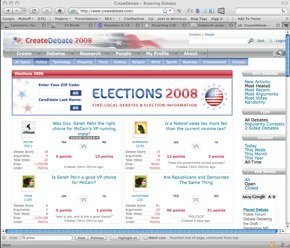 Teachers and students might have a chapter described to them via discussion or presentation of a problem, and then work toward identifying content from the encyclopedia, assembling it into a personalized study resource gear not only toward the subject or problem, but also toward the individuals learning styles. In a sense this would cause the traditional consumption approach to education and the emerging emphasis on production to overlap far more effectively than simply asking students to produce a multimedia presentation at the end of the chapter. 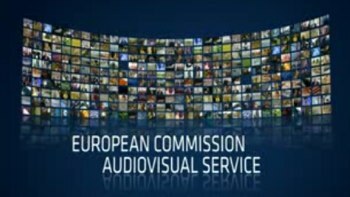 Here is the very funny video (Chemical Party) that actually connected me with the Audiovisual Service, suggested by Seesmic’s Loic Le Meur. It is designed to promote interest in science and chemistry, also from the European Commission. I’m on my way home, somewhere over Wisconsin, I suspect, but my head is still reeling from a day of conversations with technology, media, art, and science educators at The Blake School in Minneapolis. We kicked off the day with a presentation to the faculty that wove in and out of the future (the Now), the kids, the new information landscape, and contemporary literacy. That was followed by several hours of conversation among the key technology folks. 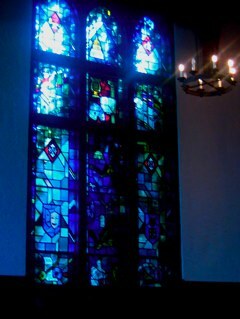 Even though they are a non-denominational school, they have a magnificent chapel. Although I have delivered keynotes in a tent before, this may have been my first experience of presenting beneath stained glass. 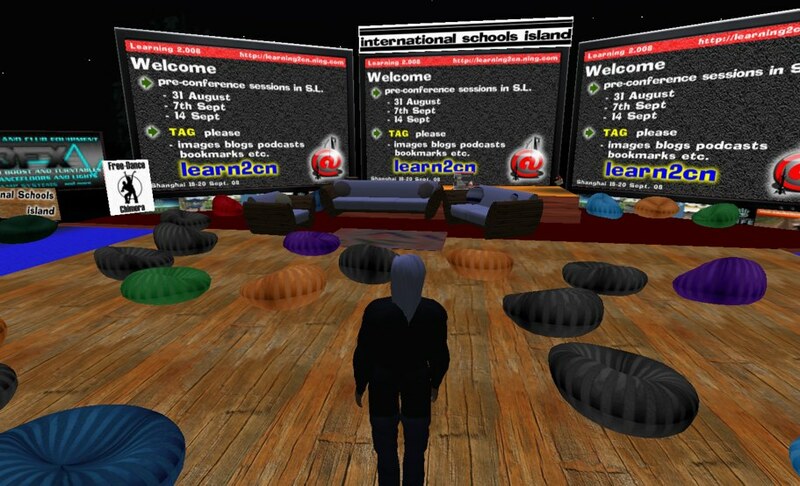 The issues included security and the place for new tools for learning. One question that arose more than once was a time line for introducing new literacy concepts — when do you start introducing information evaluation, research, ethics, etc. We tend to think of these skills as technology or digital skills. It’s an unfortunate mistake, because it channels us down to thinking of these skills in terms of time-on-machine. They are information skills that apply digital networked information to accomplish goals — and they can easily be modeled. I often suggest that educators of primary level children model, as part of their lessons, the practices of researching, evaluating, processing,and expressing digital information, that they talk about what they are doing, and engage their students in conversations about the processes. Teachers should be doing this all the way through. It’s another way of convincing students that these are not merely skills, to be demonstrated, but habits to be embraced and adopted. 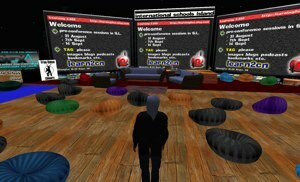 I was very excited to hear that they had installed OpenSim on an old server (actually it was one of their very talented students), and that art students were using the Second Life(tm) style virtual world. The students are using the 3D immerse world as a palette for artistic and functional design. I urged them to consider this as a sandbox for other disciplines. 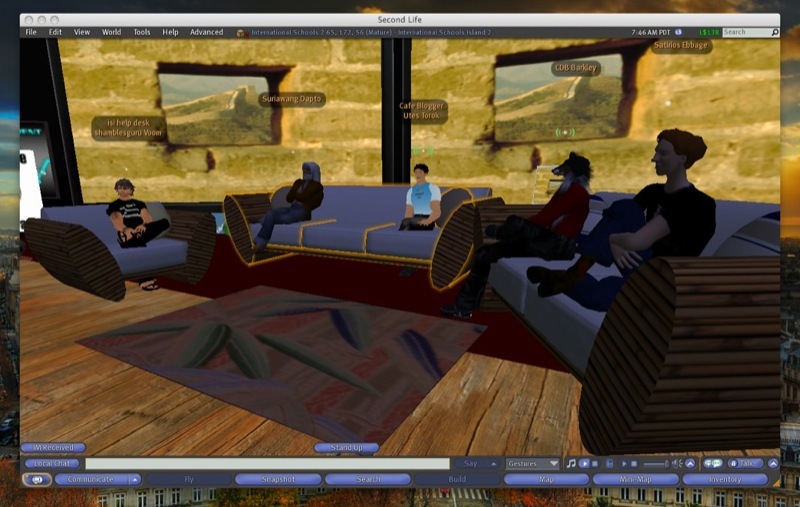 They are looking at it for physics, because, evidently, OpenSim features the ability to adapt the physical laws, enabling users to alter gravity and other conditions. I guess that what we have to learn is how historians use this new information environment and how biologists work together in a collaborative web. We then went into personal learning networks and how teachers can connect themselves to people in the field of their study, and engage in conversations within that field and within its current avenues of conversation. There were so many times during the day that I thought, I’ve got to blog about that — and I just can’t remember what so many of them were. Starting our initial descent. More later! Adrian Bruce connected me with a recent blog post (Dropping into New York) of his, where he describes a very early (1:00 AM) morning presentation he did for me about his experience with student blogging. 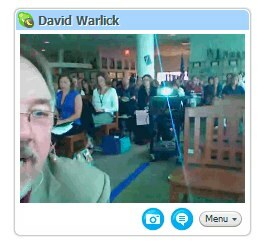 He presented via Skype to teachers I was working with in Westport, Connecticut. 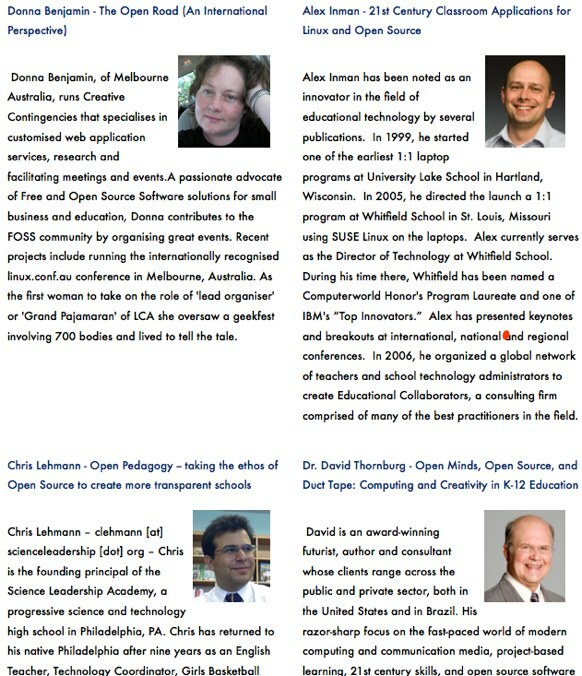 I have to admit that the Skyped conversations with Bruce, and Lisa Parisi and Brian Cosby were the hits of the day. It never fails to amaze me, the power and quality of this utility, Skype. So many of us almost take it for granted (though I don’t make nearly enough use of it), and yet, so many educators are completely unaware of it — and don’t even believe it’s possible until you show them. The teachers I was working with in Kannapolis the other day were using it to organize impromptu staff development, learning about and how to operate new web apps. How have you used Skype to enable and enhance learning?